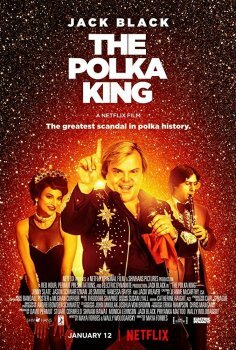 The Polka King - Available as a download or stream? Jack Black stars in “The Polka King” from Netflix, a film based on the real life events of, Jan Lewan, a talented polka musician who coerced his fans in rural Pennsylvania into investing in a Ponzi scheme. It serves as the second feature film directed by Maya Forbes, which she co-wrote with her husband Wallace Wolodarsky. The supporting cast features Jenny Slate, Jason Schwartzman, Jacki Weaver, Vanessa Bayer, and J.B. Smoove.